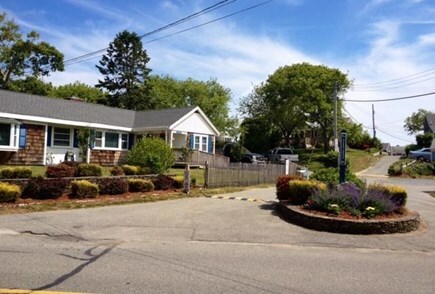 Book your beach getaway to the village of Dennis Port at this darling beachfront vacation rental cottage, situated just off of Old Wharf Road and approximately 10 minutes from Main Street. 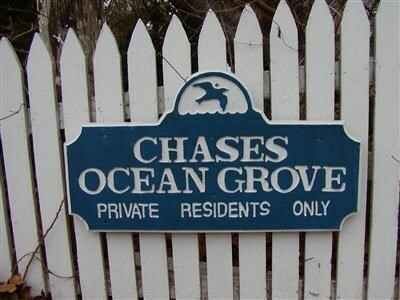 Located right on the water in desirable Chase's Ocean Grove community, this 2-bedroom, 1/2 bath home invites 6 guests to experience the best of Cape Cod. 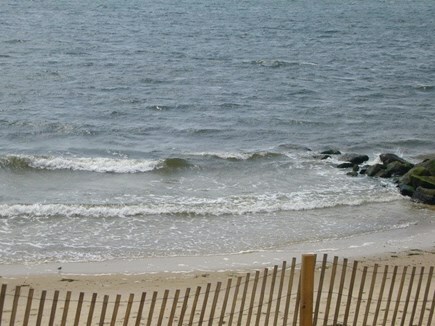 Walk or drive down to the Chase’s Ocean Grove community beach, Haigis Beach, or Sea Street Beach. 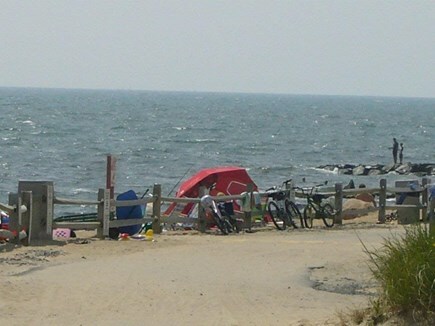 Build sandcastles in the sand or enjoy the whale watching and fishing opportunities of Nantucket Sound and Cape Cod Bay. 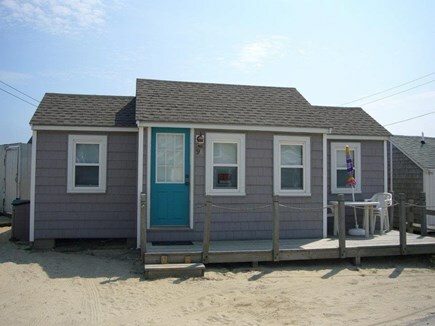 An ocean breeze and sandy lot welcome you, and from the moment you approach the bright blue door, you'll see the sea behind you. 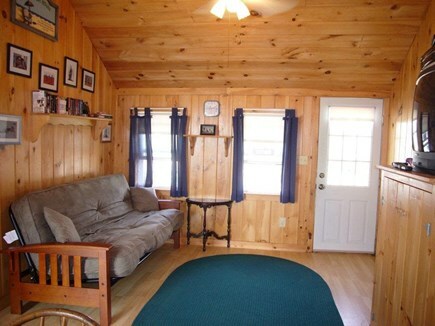 Step inside, and you're sure to feel right at home. 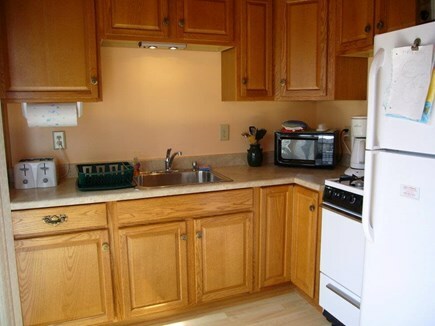 Amenities include a well-equipped kitchen with refrigerator, freezer, stove, coffee maker and more. Any time you don't feel like dining out, feel free to create a home cooked meal. 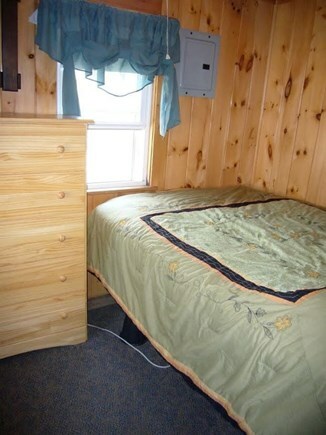 Free cable TV and WiFi — book a surfing lesson or fishing excursion from the comfort of the futon. 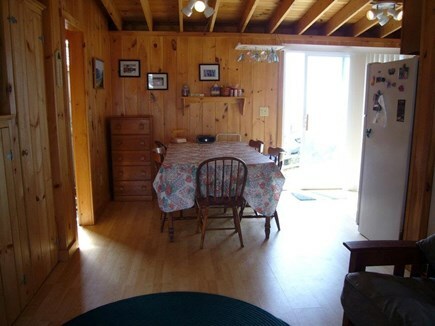 The dining table seats 5, or you can pack up a picnic and head for the beach! 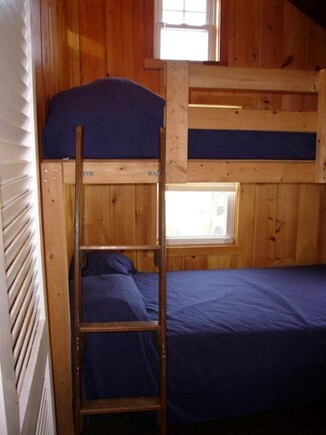 When you return, freshen up in the outdoor shower, accessible through the 1/2 bathroom, then retreat inside for a great night of rest on the full bed, twin-over-twin bunk bed or futon. 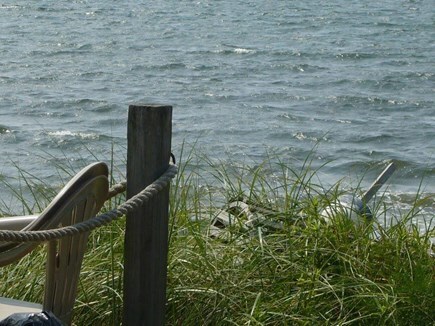 Enjoy a fabulous meals at the nearby Ocean House Restaurant (with views of Nantucket Sound), or if you're in the mood for something a little more casual but just as delicious, Original Seafood is just 5 minutes away on Main Street. 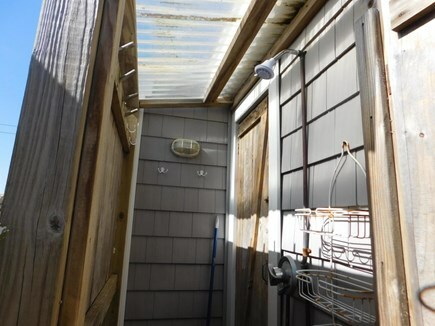 - Driveway parking for 2 vehicles and more.